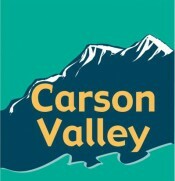 The process of producing the next edition of the Chamber's Carson Valley Street Map has begun. All Chamber members will be contacted by Cathy Fraser of Town Square Publications, the producers of the map, with advertising opportunites on the map. We expect this version to last for three years and it will be included in relocation packets and available for purchase in the Chamber office. While advertisers receive a number of maps when they are printed, Chamber members also have an opportunity to purchase quantities of the map at a discount from the Chamber. To help you understand the process and the value of placing an ad on the map, Cathy and Town Square have prepared a number of videos. Please take a moment to review the information and we hope you see the value in participating. Marketing Tip #1 Print is NOT Dead! You hear people say all the time print is dead. But really who are the people saying that? What is their expertise? Are they marketers in the industry, experts in the advertising industry, or is that simply their opinion? Sometimes we need to be careful who we listen to. Despite the widespread use of mobile devices and travelers’ growing reliance on their maps and apps, print maps remain a critical part of the tourism experience. Mobile maps are great for navigating from point A to B, but don’t give travelers a sense of place quite like a large printed map. High demand at visitor centers suggests tourists are looking for information and context before exploring on their own. Now remember these are only tips, my goal is to help you obtain the results that you are looking for, not to stifle your creativity! 1. Your Offer: A good print advertisement offers readers an immediate benefit or reason to learn more about your product. This can be anything from a hot new product to a sale or limited-time discount. Your offer is the hook that draws the reader in and it should be the focus on your ad. 2. Headline: Your headline should connect with YOUR niche market and catch their eye. Remember in any content, advertising, social media you are always speaking to only our NICHE MARKET not everyone. In the headline is also the key benefit or offer you are providing. 3. Memorable Image. You want an ad that not only catches your target audience attention, but you want something creative that they will remember. This goes along with your brand and who you are. What makes you stand out in the market place! You can do this with a great eye catching image! People thing and remember in images. 4. Quick and clear information. Provide details about your offer, details about your store or product and or any other information you want to highlight. Keep your body text short and easy-to read. Use bullet points or subheadings to break up the text. Readers want to get the information they need as quickly as possible. Everyone is busy and have short attention spans. That is why you MUST get their attention with your headline. 5. Very specific call to action: this is one of the critical pieces that many people forget. Include a sense of urgency in your ad. Don't just tell readers about your product, urge them to take action in order to benefit from your offer. Set a time limit and clear, concise instructions for what readers should do. Call to action statements include: 'Call Today to Reserve Your Copy,' 'Only 100 Copies, Download Yours Today' and 'Only the First 50 Customers Receive a Free T-Shirt, Come in Today.' Specific with a time limit. 6. Connect print to online: there are studies that show that people love the tangibility of print, especially for a map. Print also triggers multiple senses will add to the effectiveness advertising. When brands appeal to more than three senses, advertising effectiveness will increase with 70 per cent. However, you still want to in your specific call to action direct them somewhere online for several reasons. More details on this in the next email. Bonus: What is your specific goal? What is your specific goal for creating this ad? Do you want more brand awareness, grow your contact list, want them to buy a specific item, do you have something new to offer. Be very clear on what your expectation or goal is before you create and place any type of ad. One of the most important reasons you want to take your potential clients online is for tracking purposes. You truly won’t know if your campaigns are effective unless it can be measured, tracked and updated in real time. Unless you have physical numbers in front of you, just guessing or asking people how they heard about you is NOT effective tracking. This goes back to being intentional about your campaign and your goals. 1. Landing Page: The best way is to create any effective campaign, reach your goals, and to track is to have a separate landing page. This page will offer people exactly what was promised in the ad. There will be clear direction on what to do and people will take action – where there is confusion there is no action. Sending people directly to your website is NOT an effective call to action, because it’s not specific. I can tell you right now people will leave your website and never come back if you send them to your main website without a specific call to action. 2. Grow Your List: So part of your call to action may be to offer people a download, or for them to obtain some type of value based information from you. By doing this you will collect their name and email, grow your list, and nurture the relationship with a potential long term customer or client. 3. Contests: You could run a contest on Instagram or Facebook. This is a great way to grow your list, create engagement and interaction, create brand awareness, and obtain potential new clients! 4. Video: from your print ad you can send people to a video about your new offer, a new product, or value based information. Then in the video have a very specific call to action. Video is one of the most powerful marketing tools right now, when used correctly. 5. QR Codes: these are very effective code snippets to take people from print to online IF you send them to a landing page or something very specific (NOT YOUR WEBSITE). QR codes can be customized with colors and patterns to better integrate into your print marketing designs and add branded elements. 6. Near Field Communication: NFC is a new technology that is not available in all devices, but it most likely will replace QR codes down the line. NFC technology uses a tiny microchip to send a signal directly to your mobile device without the need for scanning. Tap the print media against your mobile device, and the NFC chip will instantly connect you to the landing page, video, or other online spaces. 3. Offer: a video or whatever your offer is, value based information, download etc. 5. Autoresponders: series of emails to nurture relationship with potential clients and current clients. 1. Weekly Updates: Or call this something a little more fun. Let people know what’s happening on your blog and or in your business. 2. How to Content: Share instructional content with your subscribers and add value. Show them how to do something that easily lends to promoting another product, whether it’s through an affiliate link or one of your own products. 3. Checklists: are always a fun thing to share and it’s high-value brandable content that people will refer to over and over again. 4. Worksheets and Quizzes: Allow subscribers to work through problems and challenges by asking tough questions and providing potential solutions. Whenever you can help your subscribers accomplish something, you boost your reputation with them. 5. Product Reviews and Comparisons: Help consumers make the best product choice for their needs. Your subscribers will thank you when you help them make the best buying decision possible. 6. Share Relevant Industry Facts and Statistics: Compelling statistics can be used to motivate action and conversions. You are the expert so share what you know! 7. Frequently Asked Questions: Share answers to the questions you receive most often. Ask your subscribers to submit questions, so they feel a deeper connection and you can help them with what they really need. 8. Coupons and Special Promotions: Deliver coupons to your audience or share exclusive or limited time promotions. 9. Make Announcements: Are you launching a product, hosting or attending an event, or making changes to your business? Use email to keep your prospects and customers aware and engaged. 10. Contests: Launch contests through your email list and get more people involved and excited about your business. People love free stuff and they even love to spread the word about free stuff, so you can grow your traffic. 11. Videos: If you have a video channel, share links to your video or embed the video in the body of your email message. If you don’t have videos to share, find great ones your subscribers would be interested in. 12. Webinars and Live Events: If you host live events you can use your email marketing to not only market the event but to also share links to the recordings. 13. Interviews: Interview industry experts and share all or a portion of the in1terview in your email message. This is a great way to deliver useful content and to build relationships with players in your niche. 14. Images: There are a number of different ways to approach sharing images in your email marketing.